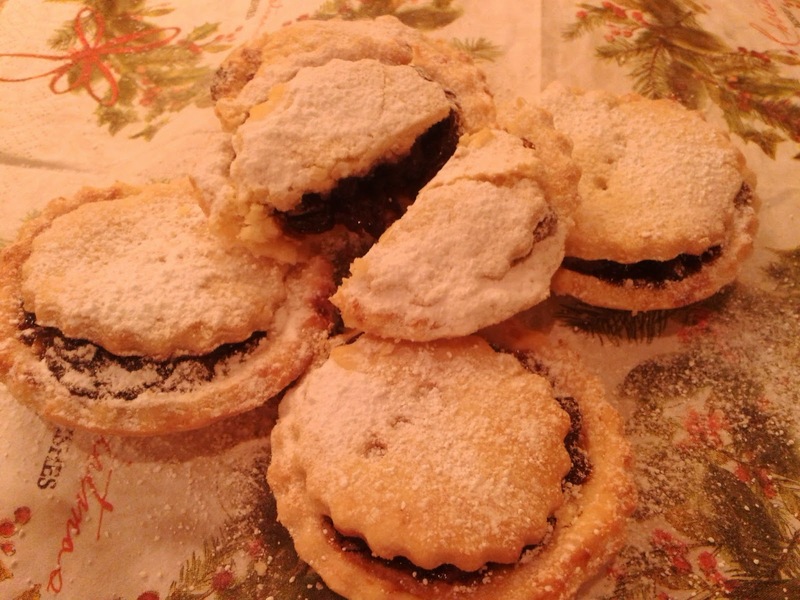 Mince pies are my favourite Christmas treat, yet I’m often disappointed when I bite into commercially produced varieties. They’ve just got to be home-made to pass muster. This recipe makes a light and delicious mince pie with a gluten-free almond pastry that melts in the mouth. It’s worth paying a bit more for a jar of good quality mincemeat that doesn’t stint on the fruit. Heat the oven to 170 degree C/325 degrees F/Gas 3. Measure your flour and almond into a bowl and mix well. I find that self-raiding flour gives the lightest pastry but you can use plain flour with baking powder added, if that’s what you have in the cupboard. Lightly rub the butter into the flour until it resembles fine breadcrumbs. Mix in the water with a knife being careful not to make the mixture too runny- you should be able to gather it into a ball of soft dough with your hand. Knead lightly for a few seconds on a floured surface then wrap in a damp tea towel and leave to rest in a cool place for about 30 minutes. Lightly roll out the pastry on a floured surface using a rolling pin lightly dusted with flour -you have to handle gluten-free pastry quite delicately. Use pastry cutters to make 6-8 circles to fit an oiled patty tin. Spoon some mincemeat into each pie.Use a smaller pastry cutter to make circles for the lids. Moisten the edges of each pie with water and place a pastry lid on top. Pierce each lid with a fork to allow steam to escape while cooking. Brush each pie with your choice of milk or egg wash and bake in the pre-heated oven for 15-20 minutes until the pastry is golden.Allow to cool on a rack then dust with icing sugar. Variation: Instead of a pastry lid, top your pies with chopped pecans or flaked almonds before baking. Store the mince pies in a tin and eat within a few days. They freeze well.